Tired of Unreliable WordPress Themes & Scripts? 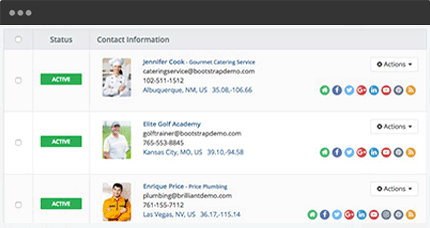 Save time & money — Launch your website with the best directory software to manage members, publish content & generate revenue. Turbo-Charge Your Membership WebsiteManage your entire organization with the most reliable member directory software. Launch quickly and simplify tasks — all while saving time and money. 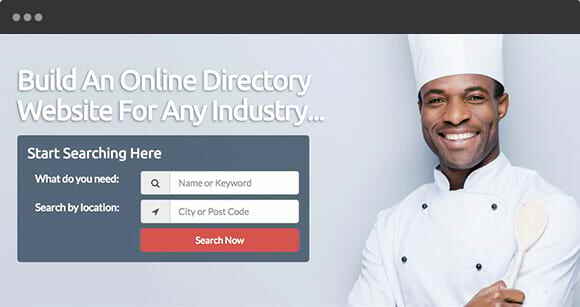 Since 2009, thousands of online entrepreneurs and professional member organizations – across all industries – have relied on Brilliant Directories as the best directory script to power their membership websites and business directories. You can be our next success story. There's never been a more complete directory software. Our script includes all the important tools you need to launch your online directory – without wasting valuable time. Create a stunning directory using your own logo and robust design settings. You and your members can post articles, events, coupons, classifieds and more! Members can join on their own, while you control everything from the admin area. Maximize revenue from members and advertisers with automated payments. 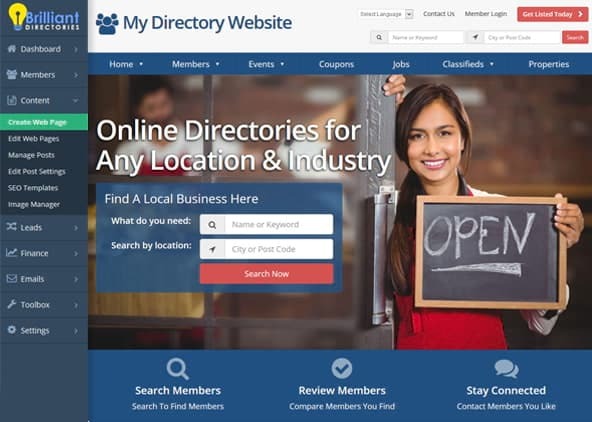 Allow website visitors to search members in your professional online directory. Generate additional revenue by selling and managing banner ad spaces. Publish and promote upcoming events to keep your member community informed. 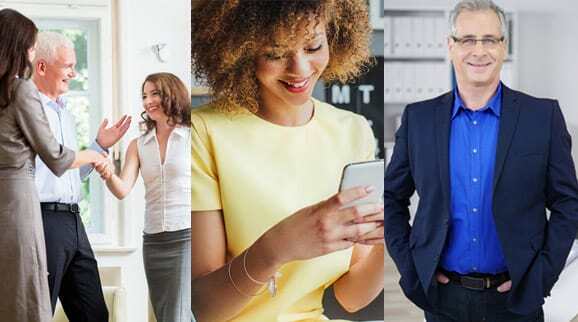 Stay connected to members with email newsletters and contact list tools. Increase your Google page rankings and attract more visitors with dynamic SEO. Premium hosting and top-rated email support are included with every plan. 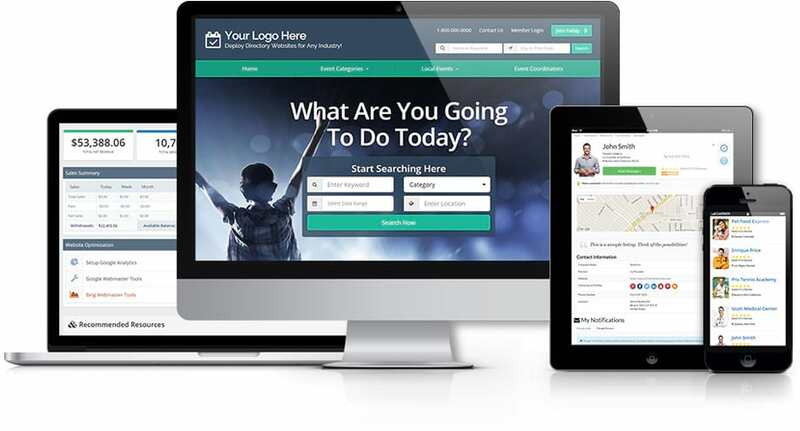 Generate Revenue from members, leads, advertisers and more. 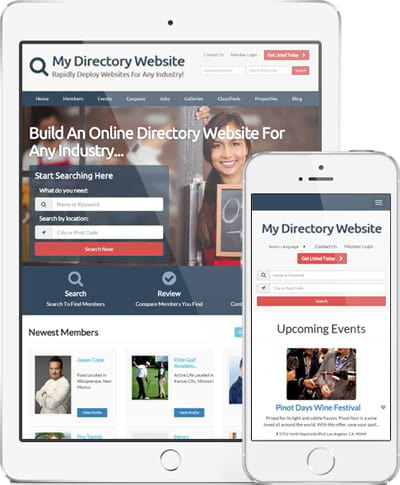 Over 20,000 groups, organizations and website owners around the world trust Brilliant Directories with their online communities and directory websites. The free demo was a perfect way to test my idea before spending a dollar. If you're tired of half-baked scripts then Brilliant Directories is for you. So very happy. Love you guys! I've been with Brilliant Directories for over 2 years. This directory software absolutely rocks! I run multiple sites with them and plan to launch more business directories soon.